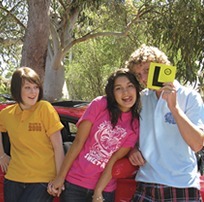 Whether you require Class of 2014 Shirts, Memento Shirts, Graduation Shirts, or Leavers Shirts, our funky designs will make your grade and your school stand out on camps, sports days and excursions. The names of all your students are printed on the back of the shirts so they will become fabulous mementos in years to come. CLASS of 2014 SHIRTS come in an exciting range of designs, colours and styles that will set your class apart. Crocodile Creek offers fast, friendly service, quality shirts and competitive prices. 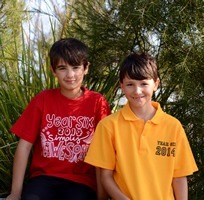 Year 6 Shirts have all your students’ names on the back and a funky design of your choice on the front. Prices start from $18. 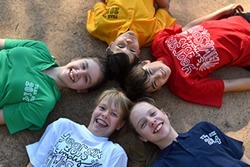 Year 7 Shirts have all your students’ names on the back and a funky design of your choice on the front. Prices start from $18. 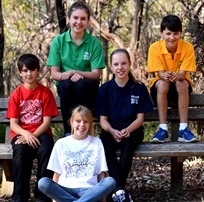 Year 10/12 Shirts have all your students’ names on the back and school crest on the front. Prices start from $18. 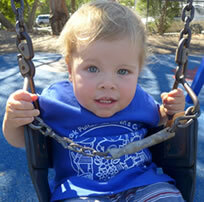 Kindy shirts promote your centre, engage your students and provide uniforms for your staff, with your own or our design. Shirts start from $15.